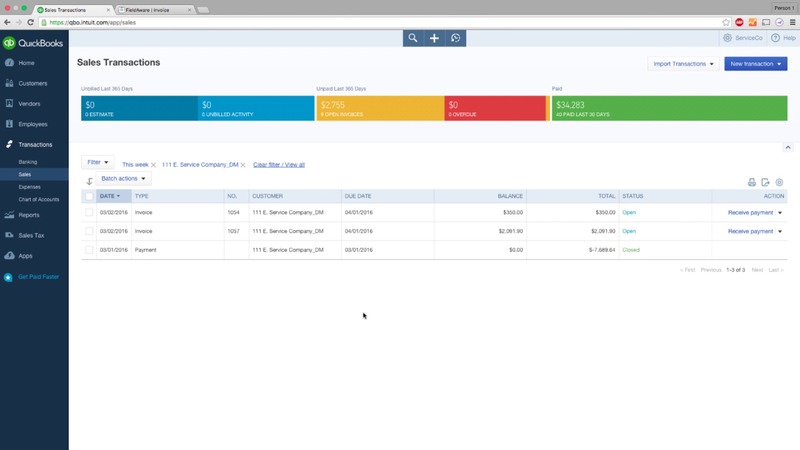 By integrating FieldAware with QuickBooks, invoices can be sent from FieldAware directly into your accounting system with one click, significantly reducing days sales outstanding. No more manual entry of data. FieldAware is an intuitive easy to use made for mobile platform that supports the automation of your service operations. Reducing DSO with integration to QuickBooks means more cash to invest quicker into your business. Keep field engineers on track and allocate jobs on the move. Track customer sign-offs, job closure, technician locations, optimized routes, and other data. Measure field engineer efficiency and productivity. Monitor job status and revenue generation.